That was pretty good. As expected of the author of Hagure Yuusha no Esthetica. It’s not at the level of Madan no Ou, the king of harem fantasy LNs since the swarm invasion of the genre a few years ago, but the stuff he writes is definitely in the upper echelon of those harem high school fantasy LNs. I’m already feeling sick at how it’ll only be one cour and I’ll never know what happens next till I can read JP correctly or someone translates. It’s not like I’m bothered by it, but the show could have stayed as the first 15 minutes of episode 1 without any fantasy stuff and it would have still been perfectly fine. You can’t say that for 95% of these HHS fantasy LNs. A slice of life show about a nice guy trying to help his new sisters to rehabilitate and go back to school etc, without the abuse of sexual fanservice or fighting. Something like Onegai Twins but a thousand times better. I’m saying this but I actually don’t remember anything from Onegai Twins. Also bad stereotypical Rei clones should just die. 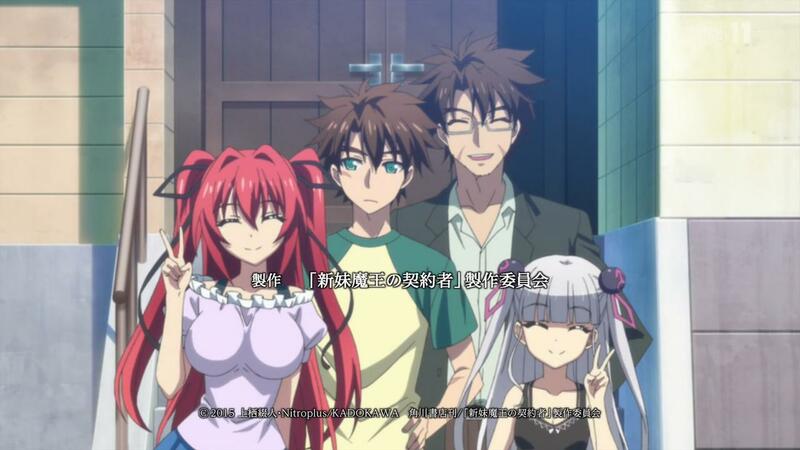 This entry was posted in Opinions on..., Shinmai Maou no Testament and tagged Anime, Shinmai Maou no Testament on January 15, 2015 by rockmanshii.